Happy Earth Day from Planet Bee! Here at Planet Bee, we celebrate Earth Day every day and a big part of what we do is try to make it possible for you to make a difference as well. One of the best ways to give a lending hand to the honey bee is to give them a home, and the intention behind what we do (our adopt a hive program, seed ball kit program, bee/bee merchandise sales) is to make it easy for you to do just that. This Earth day we thought we’d remind you why saving the bees goes far beyond protecting our little friends. Imagine walking into your local grocery store. Imagine all the grapes, oranges, apples, avocados, tomatoes... mmm... all the yummy fruits we eat daily, right at your fingertips! Did you know that we owe roughly 30% of our food and 70% of the world crops to the honeybee? That's a lot! Have you ever taken a moment to think about what this actually means? Now imagine what your local grocery store would like if we had no bees. Your produce section would be half empty! It is easy in the midst of our busy lives to forget how fruit gets to the store, and the fact is that we owe much of our fresh food to the honeybee. Now we can all agree that not being able to eat fruit would be a huge bummer, but bees do more than just help us get our daily dose of fruit. Bees pollinating work is critical for other plants survive as well. This is important because these plants help absorb CO2, prevent soil erosion, provide 1/2 of the worlds oils, are a main ingredient in different medicines, the list goes on! So what exactly is threatening the bees? Become a beekeeper! Learn the in’s and outs of beekeeping here! Plant a pollinator garden! Learn more about planting a pollinator garden here as well as check out our new Seed Ball Kit program that teaches local youth about the importance of pollinator habitats and how to help! Buy pesticide-free plants for your garden- don’t forget to employ natural pest control while you're at it! So as we appreciate our bee-utiful, life-giving Earth this Earth Day, let's also remember the great impact we leave on it, and aim to keep it a positive one. A lot of us understand the critical role bees play in creating biodiversity within our environment. However, a community nestled into Appalachia in West Virginia is showing us just how important bees can be, not just for helping the environment, but for saving a community. It isn’t news that over the past few decades there has been a great decline in the country’s coal industry. With this decline a steady drop of unemployment has haunted communities that run along Appalachia. A lack of mining jobs has directly effected mining communities who rely on this industry for financial security. Communities rooted within the coal industry are in need of work and a sense of purpose, and the Appalachian Headwaters, a non-profit that formed the Appalachian Beekeeping Collective, is helping solve this issue. The Appalachian Beekeeping Collective, whose goal is “to create economic opportunities for rural families [by helping] members to learn the art, science, and business of earning a sustainable income through beekeeping,” provides locals with hives and equipment. The Collective educates locals on how to keep bees as well as aids in processing the honey. Locals are able to sell honey goods to make a profit. Environmental Stewardship is not the initial goal of these West Virginia beekeepers, the economic perks of beekeeping is what drives many of these struggling locals to keep bees. However, it is inevitable these locals has created positive environmental change. This is a wonderful example of how you don’t have to be a passionate environmentalist to be an important environmental steward. Keeping bees not only provides a solution to the rising lack of employment within these communities, but shapes these small communities into becoming positive vehicles of change within the world. Free, Cathy. "Why West Virginians in Coal Country are Turning to Bee Keeping." The Washington Post, 26 Feb. 2019, www.washingtonpost.com/lifestyle/2019/02/26/why-west-virginians-coal-country-are-turning-beekeeping/?noredirect=on&utm_term=.e435e2be945c. Helmer, Jodi. "Out-Of-Work Appalachian Coal Miners Train As Beekeepers To Earn Extra Cash." National Public Radio, Inc., 28 Jan. 2019, www.npr.org/sections/thesalt/2019/01/28/685878133/out-of-work-appalachian-coal-miners-train-as-beekeepers-to-earn-extra-cash. All across the world there are countless species of bees that have adapted to different climates and conditions. Despite sharing many basic characteristics, they have adopted unique physical and behavioral traits due to their unique habitats. The Apis cerana is a species of honey bee native to Asia, with a range extending from the eastern region of Japan to the western boundaries of Asia in Afghanistan (Egelie, Ashley A, et al., “Apis cerana”). Due to their wide range, they can survive in many different ecosystems. These bees have many similar characteristics to those of Apis mellifera, which is a western honey bee species found in the U.S., however, they have more pronounced stripes on the back of their abdomen. Their body size can vary based on their geographic location, due to the wide habitat ranges they can survive in. Currently, due to China’s low labor costs, many farmers in rural, underdeveloped provinces are now pollinating their crops by hand. The cost of renting Asian and Western bees for crop pollination might be too high for many farmers, due to the increasing demand for them and the increased rarity of said bees. Farmers are forced to painstakingly pollinate their crops themselves. With bees edging ever closer towards extinction all across the world, it is crucial that we take positive, sustainable steps towards preventing further population decline and that we nurture native bee and other pollinator populations and protect them where they currently survive. As labor costs rise in China and other agricultural hubs in developing countries, it is necessary that bees and other pollinators are protected not just to protect biodiversity and create a more sustainable environment, but also to maintain stable living conditions for agricultural workers in such countries. For ways to help bees in your local area, check out this link. It’s time to bee the change you want to see! Chen, Stephen. “Why China's Asian Honeybees Are Losing out to Their Western Peers.” South China Morning Post, South China Morning Post, 12 June 2017, www.scmp.com/news/china/society/article/2083725/why-chinas-asian-honeybees-are-losing-out-their-western. Semhur. “Wikimedia Commons.” Wikimedia Commons, 23 Feb. 2011, upload.wikimedia.org/wikipedia/commons/thumb/f/f4/Apis_cerana_distribution_map.svg/1600px-Apis_cerana_distribution_map.svg.png. Rushen. “Apis Cerana, Asiatic Honey Bee - Khao Yai National Park.” Wikimedia Commons, 30 Jan. 2013, upload.wikimedia.org/wikipedia/commons/thumb/f/fb/Apis_cerana%2C_Asiatic_honey_bee_-_Khao_Yai_National_Park.jpg/1599px-Apis_cerana%2C_Asiatic_honey_bee_-_Khao_Yai_National_Park.jpg. When some people think about bees, they imagine of annoying pests with stingers whose purpose is to cause discomfort and annoyance. Contrary to this widely held misconception of bees, they are generally peaceful creatures, resorting to aggression only when irritated or threatened by other animals, like humans. In fact, there are also many bee species that are stingless! Perhaps what this species of bee is best known for is their unique hive structure. Most people imagine a bright yellow oval or a manmade box when they think of a beehive, but the sugarbag bee builds their hives with a different structure - they build their hives spiraling up. A stingless bee hive. Photo by Stephan Ridgway. Why are their hives built this way? By building their hives spiraling up in any convenient crevice available, be it a hollow tree trunk or a manmade hole, they create a home with high levels of air ventilation. The queen bee also has an easier time navigating the hive with its spiraling structure as opposed to a clumped aerial hive. This structure, however, does not compromise security for ventilation, as there is only one entrance into the hive—at the top. The entrance is guarded by brave guard bees, and with a queen bee to worker bee ratio of over 1,000:1, the queen can rest assured that she will be safe. The hive is even coated in a layer of resin which kills germs and pathogens that bees might have picked up outside. Even though these bees can’t sting, they can still defend themselves. As opposed to using their stingers when threatened, these bees have a sharp bite that can discourage possible intruders from endangering the queen. Furthermore, the bees themselves have sticky resin on their legs, similar to the one that coats the hive, which allows them to immobilize possible intruders to the hive. The bees rarely resort to those measures, however. They are quite docile and friendly if not provoked. The honey that these stingless bees produce, despite the different cell structure, tastes very similar to honey that European honeybees produce. However, according to national geographic, the honey has a higher water content, meaning that it will likely have a deeper, more pronounced flavor. The taste of the honey still does depend on the type of flower that the bee has visited, and according to Claus Rassumen, an assistant professor at Aarhus University, it has a “more floral taste”, but still gives the same benefits that honey produced by their European counterparts would. These little critters have generated a lot of buzz with their creativity! Ballantyne, Melissa. “The Importance of Native Bees.” Sydney Stingless Bees, Sydney Stingless Bees, 2017, www.sydneystinglessbees.com.au/. Zachos, Elaina. “Why These Stingless Bees Build Spiral Hives.” National Geographic, National Geographic Society, 2 Feb. 2018, news.nationalgeographic.com/2018/02/australian-stingless-spiral-bee-hive-construction-tetragonula-carbonaria-spd/. Major, Mario L. “Australian Stingless Bees Build Stunning Spiral Hives and No One's Quite Sure Why.” Interesting Engineering, 2 May 2018, interestingengineering.com/australian-stingless-bees-build-stunning-spiral-hives-and-no-ones-quite-sure-why. Mok, Kimberley. “Magnificent Spiraling Hives Are Built by Stingless Sugarbag Bees (Video).” TreeHugger, Treehugger, 11 Oct. 2018, www.treehugger.com/animals/spiraling-hives-stingless-sugarbag-bees.html. 2018 has flown by! As the year comes to a close, we’re recounting of some of our highlights from this bee-utiful year. We spent the summer creating some new and exciting lessons for schools. We wanted to give students more opportunities to learn about bees and the environment, while also exposing them to STEM. If you’re unfamiliar with STEM, it stands for Science, Technology, Engineering and Mathematics, and is a really important part of preparing students to become future problem solvers and critical thinkers. Our new lessons include Bee-ometry, where students use math and inquiry to explore why bees build hexagons, and Wanna-Bee an Engineer?, where students become engineers and design and build their own native bee houses! With a total of nine lessons, we’re sure teachers will find one that gets their class buzzing. We partnered with the San Francisco Office of Early Care and Education, who sponsored our lessons for qualifying preschools and early care centers in San Francisco! Needless to say, we’ve had a lot of fun teaching the youngest members of our local community. When inspiring the next generation of environmental stewards, the earlier you start, the better. We had seven amazing interns join our team. Each new intern brings a fresh perspective to the office, which helps keep energy alive and ideas in motion, much like a buzzing hive. This year’s interns helped us roll out some pretty important projects, including the development of our new Environmental-STEM school programs, and getting the word out about our first annual fundraiser. Not to mention, they’re amazing when it comes to interfacing with folks at community events throughout the Bay Area. We couldn’t have asked for better additions to our hive! Speaking of members of our hive, we welcomed entomologist and bee expert, Dr. Jason Graham to our staff! Just as we were looking for ways to expand our reach beyond schools and towards the community at large, Jason came to us with expertise in running beekeeping and bee-themed workshops. We’re so lucky now to have Jason working with a growing cohort of future beekeepers and bee-enthusiasts, proving that anyone can join in the movement towards environmental stewardship. We launched two new workshop programs for the community—Introduction to Beekeeping Workshops, and Bee-Themed Field Trips! This means that learners of all ages can now get involved in the movement to protect our pollinators and become environmental stewards. Whether you’re looking to start beekeeping and need the basic skills, or want to explore the wide world of bees by traveling to bee-themed venues and learning from local experts, we’re sure to have something for you. Check out our upcoming workshops, led by Dr. Jason Graham! We held our first annual fundraiser at the beautiful Keller Estate Winery, where guests suited up for a hive dive, helped harvest fresh honey, and enjoyed exquisite Keller Estate wines. Special guests included esteemed entomologist, Dr. John Hafernik, and acclaimed wine expert, Wilfred Wong. Thanks to everyone’s support, we raised $8,000, and are now able to offer our programs at no cost to 500 students in high needs schools in the Bay Area! Finally, we received three grants and were chosen as finalists for the UL Innovative Education Award (ULIEA). We wish to thank the Mary A. Crocker Trust, the Strong Foundation for Environmental Values, and the Clif Bar Family Foundation for supporting our educational programs. We are so honored to be recognized for our commitment to providing robust and meaningful opportunities in STEM, bees, and the environment for youth. In 2019, we’re looking to expand our impact to a national level through online remote learning in partnership with VMware, while maintaining our commitment to our home base through free programs such as our public education tabling and beekeeping workshops at community gardens. We look forward to continuing and expanding our work for many years to come! Thank you to all supporters of environmental education, STEM education, pollinators, and youth. Your support truly makes a difference, and none of our work could be possible without YOU. Here’s to a new year of growth and continued impact in our community and bee-yond. Colonies and nests created by bees are fascinating examples of reusing materials that surround a habitat. The bee family Megachilidae is known as the architect of the bee world, creating long chambers for their little baby bees to hatch in. Not all bees live in giant colonies, like honey bees, in fact most bees are solitary; each family of bees creating individual nests depending on their needs. Today we are specifically talking about the Leafcutting Bee, scientifically known as Megachile Latreille. Their nickname explains exactly what they do: they cut leaves! The female leafcutting bee is responsible for building a “nursery” for her little larvae. She finds a suitable space in preexisting tubular cavities (basically: holes). These cavities could be in hollow stems, rotting wood, empty tunnels left by beetles, snail shells and even man made holes in buildings! This is a totally tubular example of reusing material; humans could learn a thing or two from these bees. Once the female bee finds a cavity that is long and wide enough, she begins to carefully line the hole with leaves and petals to create a nice and comfortable brood chamber (this is the nursery). When she finishes one chamber she will lay her egg and provide pollen for the larva to eat. Each chamber is home to one egg which means the female leafcutting bee is constantly adding chambers until the hole is filled. Each chamber is separated by a wall made up of chewed leaves and mixed with resin. When the baby bees mature they are thankful for the home their mother has created and they stay the winter in their cozy chambers. When the spring arrives the adult bees chew their way through the chambers and exit the nest. How do you identify these bees? Leafcutters are similar in size to honeybees. The females are larger than the males and have a triangular shaped abdomen that ends in a point. The males can be identified by their smaller, blunt pointed abdomens and their long antennae. The leafcutter has a larger head than most bees due to extra muscles they have developed to help them chew through leaves. The females even have teeth! An interesting difference between leafcutters and honeybees is that leafcutters carry pollen on the underside of their abdomen rather than on their legs like honeybees. This creates bright yellow/gold colored bee butts that are easy to spot. Why are leafcutters important? These bees are one of the best pollinators! So good that commercial agriculture will specifically use different species of Megachile to help pollinate their crops. Since leafcutters do not use leaves as a source of food, the holes they cut out of leaves are not damaging to crops. Their habit of carrying pollen on their abdomens means the pollen falls off easily and pollinates plants as they travel back and forth between their nest and plants. These bees are easily brought into backyard gardens and their gentle nature (due to their non-defensive behavior) creates an easy coexistence between gardners and pollinators. To encourage leafcutting bees in your backyard create a Bee Hotel! These are easy to build with many designs found online. Next time you’re outside keep a lookout for holes that might be housing baby bees! Frankie, Gordon W., Thorp, Robbin W., Coville, Rollin E., Ertter, Barbara. "California Bees & Blooms: A Guide for Gardeners and Naturalists". Berkeley: Heyday, 2014. Pp. 112-125. In this blog, we're giving the spotlight to our extraordinary teaching intern, Cherry Chang. Cherry came to Planet Bee through San Francisco State University's Center for Mathematics and Science Education program and spent the last two months with us learning about honey bees, beekeeping, lesson planning, and teaching strategies. Most importantly, she was instrumental in helping us build out new educational programs and teaching lessons with our educators at preschools and early care centers around San Francisco. 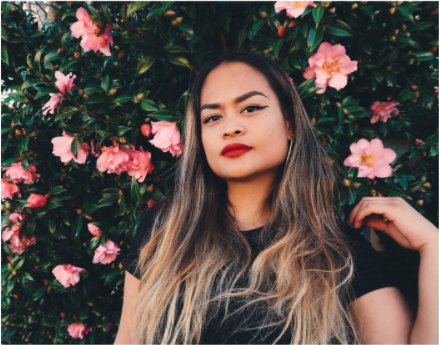 With her internship coming to an end, we'd like to share her account of her time in our hive. I still remember the day of my in-person interview with Debra, the executive directive of Planet Bee Foundation. I was nervous to start the job because of my fear of bees, but I was attracted to Debra’s passion for teaching. With my goal of being an elementary school teacher in the future, I knew I would need Debra’s positive energy. In the past two months, I have learned a lot about honey bees and native bees, but besides the science, I got to be an influence and make an impact by teaching. Planet Bee provided a very unique teaching experience, as I was able to teach different students the same material every week. We taught a lot of lower elementary school age students this summer and there were a lot of hands on activities and outdoor games for them to stay engaged. We went to summer camps and schools across San Francisco and the East Bay. I got to teach different parts of the lesson and was able to get comfortable with making mistakes and improving for next time. I learned that the purpose is not for the kids to remember how many eyes a bee has, but rather to show my enthusiasm about bees! Nothing takes the place of hearing a student say “I like bees” at the end of the lesson. Besides the hands on teaching, I also got the opportunity to research new lesson plans and prepare materials for new lessons. Some other tasks included organizing folders for each lesson, purchasing educational items, and writing thank you letters to our donors. It was a fun experience to get an insight into how a non-profit functions. The most memorable experience would have to be my first time participating in a hive dive. I got to see bees working hard making honey, bees feeding baby bees, and bees protecting their hive. It was much cooler than holding up pictures and telling kids “under the wax is a teenager bee”. Not only do I feel a lot more confident with my knowledge of bees, but these two months of my internship with Planet Bee Foundation have also changed my perspective and habits. I often find myself talking about bees with other people or seeing bees around me and taking pictures of them. This internship has exceeded my expectations by exposing me to a different way of teaching and learning. It also sparked my interest in environmental science. But more importantly, I know I am making a difference by teaching science. Good luck, Cherry! The bees will miss you, and so will we. 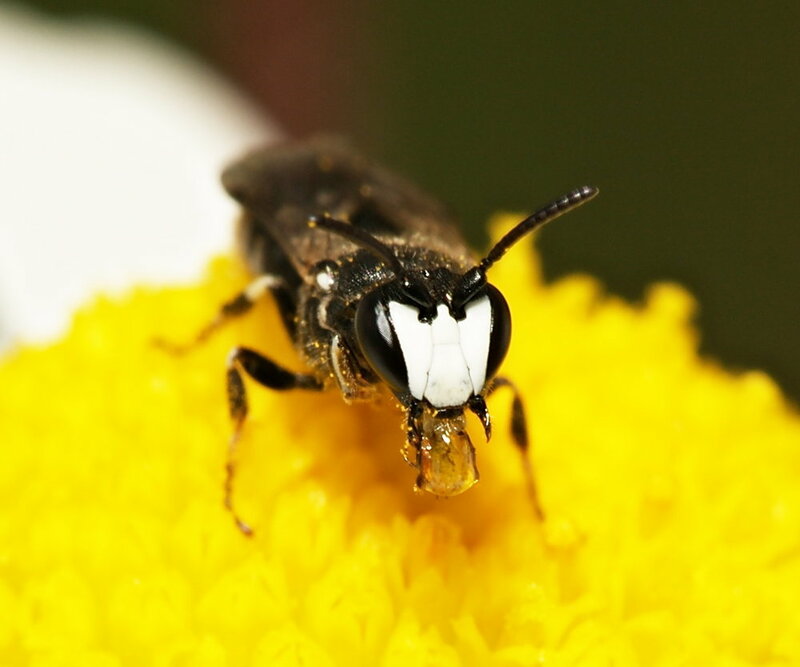 To continue our series on the Native Bees of California, we’re learning about cuckoo bees! If you know anything about cuckoo birds, you probably know that they lay their eggs in the nests of other bird species, with no intention of raising their own young. When the the cuckoo bird's eggs hatch, the chicks fool the host bird into thinking they're one of their chicks, taking precious food from the host's actual offspring and sometimes even kicking out the other chicks. Sounds ruthless! As it turns out, 15% of all bees in the world exhibit this behavior, known as kleptoparasitism, which literally means "parasitism by theft". Parasitism is defined as a relationship between two species in which one species benefits while the other gets harmed. Some common parasites for bees include the varroa mite, the hive beetle, and certain species of wasps and flies. But, who would have guessed that bees had to look out for their own kind?! So, how did this relationship between cuckoo bees and their other bee relatives come about in the first place? It turns out that generations and generations of evolution have led to this way of life for cuckoo bees. It's hard to say exactly when in history kleptoparasitism came about in bees, but today its gotten to the point where many cuckoo bees lack the structures used to collect pollen and have no instinct to build a nest of their own. So in a way, they have no choice but to rely on their bee cousins to raise their young. Can you blame them? Now, here’s how it all goes down. Once a female cuckoo bee has been fertilized by a male and is ready to lay eggs, she'll fly close to the ground and scan for other bees’ nests to lay her eggs in. When she spots a suitable nest, she'll wait nearby until the unsuspecting host bee leaves for a day of foraging, then she'll enter uninvited. Once in the nest, she'll cut holes in the host bee's brood-cell caps and lay her own eggs inside! Her job is now complete. Her young will have a delicious (and free) meal of pollen and nectar ready for them when they hatch into larvae. When they do hatch, the larvae use their strong mandibles--a fancy word for jaw--and kill the host bee's eggs or larvae in the cell. The host bee doesn't even know this whole process is happening until it's too late. A male Coelioxys, with armor-like exoskeleton. You might be wondering, what do cuckoo bees look like, and have I ever seen one? Chances are, you have. 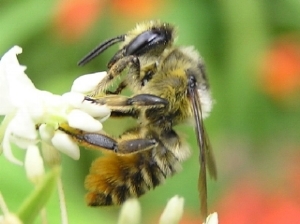 They often parasitize bees closely related to them. This fascinating group of bees are quite diverse in their appearance, and look notably different compared to their more popular bee cousins. Some cuckoo bees have very hard, almost armored bodies, with spines and sharp mandibles. Some can even deceptively resemble wasps, such as those in the Nomada genus. Even within one species, they can vary in size given the environment they did their metamorphosis in. If you're wondering what you can do to stop cuckoo bees, the answer is nothing. Kleptoparasitism in bees is a completely natural behavior and isn't a threat to overall bee populations and health. So, just let them bee! We hope you enjoyed this introduction to cuckoo bees. Stay tuned for the next installment of the Native Bee Series, where we cover the fascinating life of leafcutter bees. While we focus mainly on honey bees in our educational programs, we also love native bees here at Planet Bee! In fact, native bees are so important for the health of the environment that we're creating a Native Bee Lesson to be offered alongside our current educational programs. Teachers, stay tuned for more info in the coming months! The native bees of North America have been around for millions of years, long before honey bees were brought over from Europe in the 17th century. (If you'd like to learn more about the history of honey bees in the U.S., read our blog on it). Sadly, North America's 4,000 native bee species have been suffering population declines over the years. In our Native Bee blog series, we'll be giving the spotlight to the very cool and diverse native bees in our home state of California. We'll also be sharing some ways that you can help native bees. In California alone, there are about 1,600 species of native bees--and boy are they are diverse! These bees range widely in behavior, color, size, nesting habits, and even social lifestyle. Some native bees, such as the yellow-faced bumble bee are actually better pollinators than honey bees! Let’s dig into some facts about the most common bee groups found in California. A yellow-faced bumblebee, Bombus vosnesenskii, pollinating a flower. The group apidae is quite large and includes honey bees! This group is also home to cuckoo bees, digger bees, carpenter bees, orchid bees, and bumble bees! Many bees in this group are large and chunky. Some are solitary, meaning they live alone and some live in colonies. One of the most common bees from this group is Bombus vosnesenskii, or the yellow-faced bumblebee (pictured at right). These bees are some of the best pollinators because of their large, hairy bodies, and effective foraging behaviors. A plasterer bee, Hylaeus nigritus, making secretions to line its burrow. Bees in the group colletidae are all solitary but can often live in the same area as one another, such as in a bank of mud or dirt. A telltale sign of a bee from this group is the production of a cellophane-like secretion from their mouths. Females use this substance to cover the inside of their burrows, helping to keep them waterproof and resistant to fungus. For this reason, these bees are also known as plasterer bees! Some of these bees are unable to carry pollen, so instead they carry it in their crops, a structure in the digestive tract that stores and softens food. 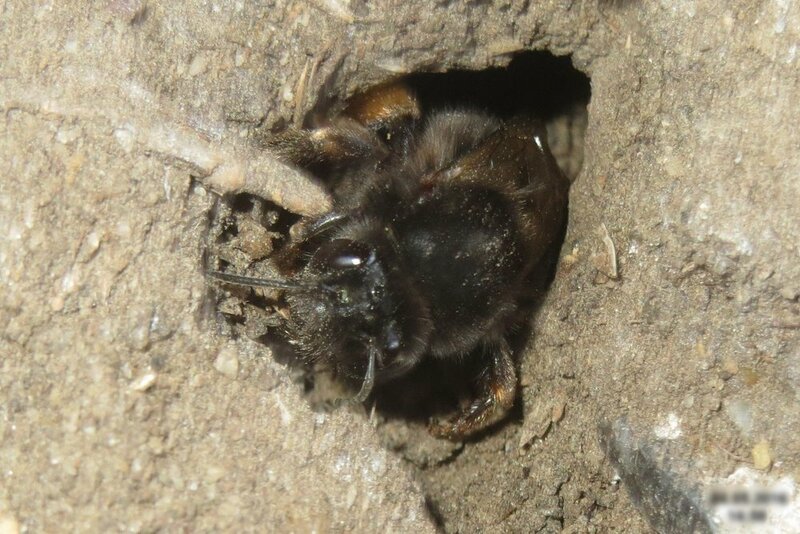 A miner bee emerging from its burrow. Bees in the group andrenidae are commonly known as mining bees, or soil nesting bees. They’re generally quite small and solitary, and nest in the ground. In their underground nests, females build branching tunnels and fill with pollen, upon which they lay their eggs. They'll do their whole metamorphosis inside the holes and are some of the first bees to emerge in the spring! These bees are often oligolectic, meaning that they only get pollen from a select few flowers. You might say that these bees are picky! A green sweat bee, Agapostemon texanus, collecting pollen from a flower. Bees in the group halictidae have been deemed sweat bees, due to their tendency to land on and lick the sweat off of people’s skin! One of the coolest looking bees in this group is Agapostemon texanus, or the green sweat bee (pictured at left), which has a shiny, iridescent exoskeleton. This is the second largest family of bees, and is also quite diverse. Most of these bees nest in the ground, though some nest in wood. Many are cleptoparasites, meaning they will lay their eggs on food in another species' nest. After hatching, the larva kills the host's larva. You better watch your back around these sneaky bees! A carder bee, Anthidium maculosum, standing on a dead leaf. Megachilidae is another very large and diverse group of bees. They primarily nest in pre-made tubular cavities such as holes in wood, old plant stems, and even snail shells! They use all kinds of cool things to make the chambers for their larva, such as pieces of leaves and flowers, mud, resin, plant hairs, and pebbles. The leafcutter bee is one type of bee in this group. To know if you have leafcutter bees in your garden, just look for clean, circular holes in the leaves! And if you're a big fan of cherries and almonds, you should know that bees in this group are important for their pollination. We hope this introduction to California's native bees got you buzzin'! If you're thirsting for more native bee knowledge, check back on our blog over the next few months to read the coming installments of our Native Bee Series, where we'll highlight some exceptionally neat bees! And teachers, stay tuned for our upcoming NGSS-aligned Native Bee Lesson. What a wonderful spring it’s been! As always, with each passing season, new experiences are had and exciting opportunities bloom. Allow us to share some of our most recent developments with you! Students at Balboa High School show off their seedballs. The cornerstone of our work is teaching youth to be environmental stewards through the unique lens of the honey bee. Spring is one of the busiest times for us as far as teaching goes. Just this season we taught at 28 schools around the Greater Bay Area, teaching over 2,600 students through our educational programs, the Humble Honey Bee, the ZomBee Watch Project, and Adopt-A-Hive. As of this month, we are proud to share that we’ve taught over 17,600 students in schools! That’s a lot of environmental stewards. When summer rolls around we’ll be back at it again, teaching at camps and early care centers, and we can’t wait! Planet Bee Interns Emily Tamkin and Courtney McGuire hold up their favorite bee facts at the Oakland Zoo Earth Day Festival. Many community members will recognize us at educational fairs and community events by our bright turquoise tablecloths and dazzling observation hive. I must admit, we’re often quite a buzz! We love meeting the range of people who visit our booth, whether they’re asking important questions about bee population decline, playing one of our tabletop pollination games, or gazing at our live bees. Community events are great opportunities to spread the word about our work and share tips with anyone who wants to help make a difference. We attended five awesome community events this spring, which included the UC Davis Bee Symposium, the Oakland Zoo Earth Day Festival, the Burroughs Family Farm 5K Benefit Run, the Clif Bar Service Fair and the California Honey Festival! If you didn’t get a chance to catch us at an event this spring, check our community events calendar to see when we’ll be swarming to an area near you! In March we held our Great Annual Bee Sale, where we sold 115 packages of bees over three days all over the Bay Area! This is just one of the many ways we raise money in order to offer our educational programs to schools for little or no cost. The added bonus is that the more people that are keeping bees with bee-friendly and sustainable techniques, the stronger the overall bee population will be! If you're interested in becoming a beekeeper but aren't sure where to start, check out our beekeeping 101 page and check in with us at the beginning of next spring for your chance to get all the necessary equipment to have your own furry friends. The DC Beekeepers Alliance stands in front of their new hives at Wangari Garden. If you’re a regular reader of our blog, you may have read in our Special Earth Day post that we recently brought on some new and exciting Adopt-a-Hive partners! We’re thrilled to welcome, Stanford University, the Oakland Zoo, College Hill Learning Garden in partnership with Education Outside, and Hacienda Peralta to our ever-growing hive! They’ve all chosen to take on some beehives of their very own and we’re so happy to work with them. In other news, we’re excited to announce that we will be piloting our educational programs in Washington, D.C! Thanks to the DC Beekeepers Alliance, Wangari Gardens, Best Kids, and DC Public Schools, Planet Bee Lessons will be presented to select schools in the D.C. area. This is just the start of our efforts to expand our reach beyond our local community. You can help change the world, one bee and one student at a time by sponsoring a Planet Bee educational program for just $10 a student! Click here to make a donation today! The future is exciting, and we’re happy to have you buzz with us! Bees played an essential role in Greek and Roman religious traditions. They, and the honey they produce, have many symbolic meanings. They also feature in many stories of the Greek and Roman gods. One story tells of the birth of Zeus, King of the Gods (renamed Jupiter by the Romans.) His father, the god Kronos, wished to destroy him, and so his mother smuggled him off to a secret cave on Mount Dicte. The cave was populated by sacred bees which fed the infant god honey. The god remained in the cave until he was grown, then dethroned his father Kronos and became the new king of the gods. Likely due to this story, one of Zeus’s titles was Melissaios, or “bee-man”. Zeus later rewarded the bees for their assistance by making them bright gold in color, and strong enough to resist cold and winds. An ancient Greek amphora depicting four men being stung by bees after attempting to steal honey from the hives that nourished the infant Zeus. Like Zeus, the god Dionysus was raised in a cave and fed on honey. Today he is viewed as the god of wine, but his worship came earlier than wine, from the time when mead was the major alcoholic beverage. Even after wine took the place of mead, honey remained sacred to Dionysus. His followers had ivy-wrapped wands from which honey flowed. He was also credited with being the creator of beekeeping! The Muses—goddesses of art, poetry, and science—were often connected with bees, which were called “the birds of the Muses”. They gave mortals the gift of eloquence by sending bees to place honey on their lips, to make their voices sweet. The Greek poet Hesiod, who was active around 750 to 650 BC, wrote of the Muses that “whomsoever they honoured and looked upon at his birth, on his tongue they shed a honeyed dew and from his lips would drop gentle words and he would speak counsel unerringly.” The Greek geographer and author Pausanius (110-180 AD) wrote of the poet and musician Pindar that, “While he slept bees flew to him and plastered honey on his lips. Such was the beginning of his career of song.” Similar praise was given to the poets Homer, Sappho, and Erinna, as well as the writers and philosophers Sophocles, Plato, Vergil, and Lucan. Cupid the Honey Thief by Albrecht Durer, 1514. Bees also tended to be associated with the underworld and with the souls of the dead. This was likely because wild hives are often located in cracks in rock walls or caves, which were imagined to be entrances to the Underworld. Various Greek philosophers believed that humans could be reincarnated as bees, or that the bees were the souls of those who had not yet been born. Sometimes nymphs were referred to as bees, because they were believed to be reincarnated souls. Brown, Norman O. "Hesiod: Theogony". Pearson, 1953. Pp. 76. Cook, Aurthur B. "The Bee in Greek Mythology". The Journal for Hellenistic Studies, 1985. Vol. 15, 23. Ransome, Hilda M. "The Sacred Bee in Ancient Times and Folklore". London: George Allen & Unwin, 1937. Pp. 84-135. Sanchez-Parodi, Julie. "The Eleusinian Mysteries and the Bee". Rosicucian Digest, 2009. No. 2, 44. Here at Planet Bee, we work year round to show love for our earth and the incredible creatures that live on it. Aside from visiting schools teaching kids how to take care of honey bees and engaging with the public at community events, we also help those who want to adopt their own hive. After all, one of the best ways to support honey bees is by starting your own hive and using sustainable and bee-friendly techniques! This special Earth Day blog is all about highlighting all the bee hives that Planet Bee has helped establish through our Adopt-A-Hive Program throughout the Greater San Francisco Bay Area and the awesome organizations that have partnered with us to make it all possible! We mainly work with youth, so it should come as no surprise that we have some awesome beehives on school campuses! Located in beautiful Marin County, Marin Catholic High School (otherwise known as MC) students started a grassroots school bee club over three years ago, and were granted three beehives through our partnership with NorCal Whole Foods Market. Note the adorable paintings on the side of the hives. Their campus hives are thriving and still going strong today. MC is working towards implementing sustainability into the school-wide curriculum to emphasize the interconnectedness of all living things. Students enjoy watching worker bees (all girls) forage as they pass between classes. No doubt, these buzzing "gals" are loving all the bee-friendly flowers on school grounds. Most of our in-school lessons take place in the school's garden, so naturally, we have beehives at community gardens, too! Acta Non Verba's (ANV) philosophy is right in the name, "Actions not Words". And the bees would probably agree, being that they can't speak to begin with! This hive was sponsored by NorCal Whole Foods Market. ANV farm in East Oakland is doing amazing things to empower students through urban farming. Their quarter acre farm is located in the City of Oakland’s Tassafaronga Park and is planned, planted, harvested and sold by youth in grades K-8. One hundred percent of the proceeds are placed into individual savings accounts for those who participate. Our bees are doing important work, providing their fruits and vegetables with reliable pollination year round. City Slicker Farms is one of newest partners, and we are thrilled to be working with such an incredible community. 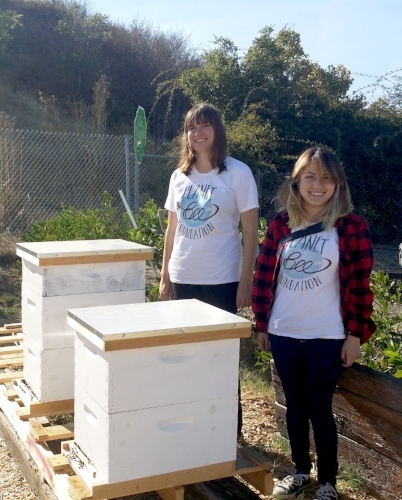 Clif Bar generously donated three beehives to City Slicker Farms that we maintain. This amazing farm believes that healthy, affordable food is a universal human right. Program participants learn to grow nutritious vegetables and cook delicious meals for themselves and their families, using time-tested, cost-effective, and environmentally sound methods. Planet Bee is grateful to partner with City Slicker Farms to spread awareness of honey bees to the Oakland community. Check out our founder and lead beekeeper Bill, giving a workshop to the local community at their annual Autumn Harvest Festival. People from all over San Francisco own plots in this cute community garden in Golden Gate Park. Luckily for them, they have some pollinators in residence! Our beehives at the San Francisco Rec and Parks (SFRPD) CommUNITY Garden work tirelessly to pollinate crops planted in 67 community raised beds maintained by community plot holders. Over the last four years, we've done hive dives and educational workshops for the community as well as an annual honey spinning workshop with SFRPD Youth Stewardship Program Interns. Common landscape materials (mulch, chips and fines) are stocked in holding bins for the community and a gardening-tool lending library is available. SFRPD seeks to emphasize environmentally sustainable practices at the site in its design, programmatic and operating features, including a native plant nursery. Some of our corporate sponsors have gotten so excited about protecting the bees that they've chosen to adopt beehives on their very own campuses! In the beautiful wine country you may come across Keller Estate Winery, which has been in the winemaking business since 1989. This gorgeous winery is committed to helping the bees, not only through beekeeping, but also through education! Last fall, Planet Bee gave a bee basics workshop and went elbow deep in the hive with wine club members and their middle school children. These wine loving novices learned all about life in the hive and the importance of pollinators to life as we know it. Talk about creating the next generation of environmental stewards! High on the hills of Twin Peaks sits the iconic Sutro Tower, and who would have guessed that bees live right underneath! These bees prove that radio and television waves aren't so detrimental to bees, and apparently neither is fog. Against all odds, these bees have done great, and even produced some delicious honey this past year. Our partners at SAP are hosts to five healthy bee hives located directly above their organic vegetable garden. Employees get to learn about life inside the hive at our annual Honey Spinning Event as they go dive into their hives with our beekeeper and educators. Team-building is the focus as SAP "worker bees" scape frames to uncap comb, revealing gorgeous delicious fresh raw honey. Next, the honey is jarred and given to employees as a sweet treat. We're going on five years at SAP, and we are thrilled to keep them buzzing! SAP headquarters is located in the Silicon Valley and is the market leader in enterprise application software. Their software helps streamline processes, giving you the ability to use real-time data to predict customer trends across your entire business. As one of our first and original Bee Green Initiative partners, Google, has taken our Adopt-A-Hive Program to the next level. Located on the Mountain View Campus, we initiated our first team-building and corporate beekeeping program with "Googlers". Four Beekeeping Club beehives are located at the Honeyplex Campus and are painted the colors of Google. Each hive has their own employee team tending to it and competes against the other hives to produce honey and keep their bees strong. Those are some pretty smart bees. This year marked our 8th Annual Honey Harvest at Google with festivities including our self guided hands-on portable museum, mead and honey tasting, and a kids corner. We can't forget to mention some honorary hives that Planet Bee started way back in its infantry, or shall we say, the larval stage. These hives began back in 2011, before Planet Bee even had a name! We've been working with Homeward Bound of Marin (HBOM) for eight consecutive years now, maintaining their hives, doing benefit educational workshops for HBOM and of course, harvesting honey, which is sold as a fundraiser. NorCal Whole Foods Market and EcoBee have donated hives to their farm. Homeward Bound of Marin is the primary provider of Marin County homeless shelters and services for homeless families and individuals in Marin, California. They operate the only emergency shelter for homeless families in Marin County, which is the entry point for their Family Services Program. They also operate five supportive housing programs for families, including a new site, Oma Village in Novato. Being homeless is an experience of trauma for both adults and children. Their Family Services Program create an environment to neutralize trauma and provide support as families stabilize and set goals for the future. We are thrilled to support this amazing organization! What's an organization that focuses on honey bees and environmental education without some hives of their own? Over the years, Planet Bee has been so grateful to partner with so many wonderful organizations and schools, but it all began with beekeeping in our very own backyard. The Planet Bee office hives are instrumental in the work we do. We bring them to schools and events in our observation hive, and spin the honey as a fundraiser to continue providing our programs to schools for low or no cost. Taking care of our very own hives is a good reminder to never forget your roots. Bee on the lookout for posting about our new Adopt-A-Hive Programs with Stanford University, The Oakland Zoo, College Hill Learning Garden in partnership with Education Outside, Adam Rogers Community Garden in partnership with Hunter's Point Family, and Peralta Hacienda Historical Park. Here at Planet Bee, we've got some stellar staff, interns, and volunteers. After all, good work attracts good people - kind of like how fragrant flowers attract diligent bees! Of course, none of us can be as hard working and committed as a worker honey bee, but I'd still say our staff is the bee's knees. 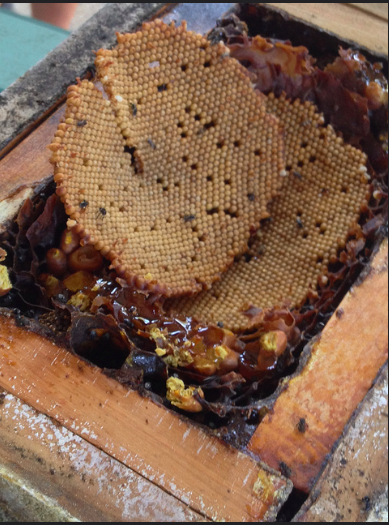 In this blog, we're giving you a peak inside our hive, starting with our Queen Bee. Q: What do you enjoy most about running Planet Bee? A: I love bringing joy and a love of learning to people through the wonder of bees. It's so amazing seeing students' faces light up when they see live bees and realize that they are more helpful than dangerous. Q: If you were a honey bee, what job would you enjoy doing the most? A: I'd be a nurse bee, because I love to nurture. Q: What's your favorite food that's pollinated by honey bees? A: Apples. I can't imagine life without them! Q: Have you ever been stung by a bee? If so, where and when? A: I was pruning my apple tree while a bee was pollinating nearby. I accidentally hit it and got stung on my green thumb! Q: What do you enjoy most about working with Planet Bee? A: All the wonderful people I meet installing hives at different locations. A: I get stung all the time. I used to swell up, but don't anymore! My theory is you always get stung where you need it! Q: What has been your favorite experience working with Planet Bee so far? A: I absolutely love every day that I get to work with students or the community and share the world of bees with them, and I have been greatly enjoying the experience of working on curriculum development this year as program director. A: I would want to be a forager worker bee so I could show off my dancing skills. A: My first reaction is AVOCADOS, but most of my favorite foods are pollinated by bees. A: Oh yes! My first bee sting happened when I was a kid doing cartwheels in a field. My favorite sting happened when I only put on a suit jacket and someone stung my bottom! A: Getting to harvest honey from our hives at Sutro Tower Inc. I got to see the massive radio and TV antenna up close from directly underneath. It was also a really foggy day, which added an extra eerie vibe. A: I'd probably want to be a wax maker bee so I could essentially do crafts all day. A: When I was in elementary school I was walking around barefoot outside and accidentally stepped on a bee. My foot was so swollen I couldn't fit it in a shoe for days! A: Going into the hive, seeing the bees in their natural habitat, and tasting raw honey. A: I would enjoy making honey the most! A: Helping out at a tabling event at the San Jose Children's Discovery Museum. It was so much fun having the opportunity to teach kids not to be afraid of bees since they are such a crucial component to our environment and help us obtain some of our favorite foods! A: My favorite task would be foraging for pollen and nectar because it would allow me to get outside the hive and be face to face with all the beautiful flowers! A: Avocados. I add them to almost every meal I eat. A: I was stung by a bee when I was about five years old on my upper arm while playing with chalk. The bee landed right where I was writing and I accidentally hit it! A: Getting a look into the world of nonprofits has been really great! I'm also excited to go into a hive and to spend a day at a school. A: I've actually been stung quite a few times (sorry bees!). One time that was truly wrong place, wrong time was when I was about 7 or so and I was running up my driveway. On the way, I tripped on a rock and fell on top of a bee! The poor bee didn't even know what hit it. If you'd like to learn more about our fantastic staff, click here. Thanks for reading! Honey harvesting from beehives has been practiced in the British Isles for thousands of years. In the times before the Roman conquest of Britain, various tribes, such as the Celts, believed mead to be the drink of the gods, much like the Greek and Roman tradition of ‘ambrosia’. In the pagan Celtic paradise, there were rivers of mead. After the Roman occupation of Britain, a great number of Roman traditions, including ideas on the significance of bees and honey, were incorporated into British culture. 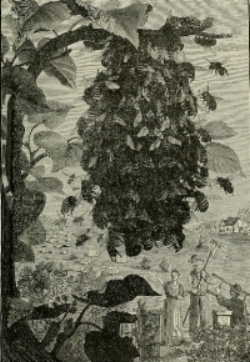 A depiction of a swarm of bees gathered on a tree branch with farmers pictured below. A classical idea maintained by the British was the notion of ‘bee souls’. It was believed that the soul could leave the body in the form of a bee while a person was sleeping. In one story, two young men are travelling, and lay down to rest on the roadside. One falls asleep and the other sees a bee leave his mouth. Alarmed, he shakes the man awake, and as he is awakening the bee re-enters his mouth. A related idea, that witches could turn into bees to work mischief, was referenced in several witch trials. One Scottish tale tells of a child who was poisoned. His grandmother and another woman were claimed to have committed the murder while wearing the guises of bees. There are also many stories linking saints and bees, particularly in Ireland and Wales. This is likely because many priests, monks, and nuns kept bees. One story tells of a St. Modomnoc or Dominicus, a holy beekeeper whose bees were overly fond of him. He travelled to Ireland, and a swarm of bees followed him, gathering on the prow of the ship. They followed him every time he left the monastery. These were supposedly the first bees in Ireland. Some of St. Modomnoc’s bees were taken by a monk named Molaga to his monastery, which was afterwards named “the Church of the Bees”. 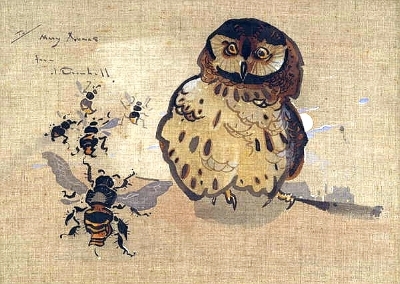 Owl and Bees painting by Jopseph Crawhall III. In regards to death, bees have significance in British as well as classical folklore. In England, Wales, and Scotland, it was believed that one must inform bees of major life events, particularly of deaths. If the bees are not told of their owner’s death, they are thought to die or fly away. The hive was sometimes decorated with crepe and the bees given cake and wine during the funeral. Bees were also told of births and marriages. Stay tuned next month to read all about bees in Ancient Greece and Rome! Baring-Gould, Sabine, Fisher, John. "The Lives of the British Saints". London: The Honourable Society of Cymmrodorian,1908. Pp. 300. Dalyell, John G. "The Darker Superstitions of Scotland, Illustrated from History and Practice". Edinburgh: Waugh and Innes, 1834. Pp. 564. Ransome, Hilda M. "The Sacred Bee in Ancient Times and Folklore". London: George Allen & Unwin, 1937. Pp. 92-223. The Sweet History of Beekeeping in the U.S.
We're thrilled to introduce our new editorial intern, Christopher Li. Christopher is a student at Dougherty Valley High School and writer extraordinaire! Enjoy his first blog post for Planet Bee, and "bee" sure to keep a look out for more of his work over the coming months! Did you know that honey bees, which are critical in the pollination of popular U.S. produce such as almonds, apples, and blueberries, are not native to the Americas? The honey bees that you see dancing from flower to flower in many farms and gardens actually originated in Europe! The introduction of the honey bee began with European colonization of the Americas in the 17th century; before that, wild native bees, other insects, and some birds and mammals pollinated the native flowers of the continent. The honey bee's ability to pollinate crops, produce honey, and be easily domesticated allowed for the occupation of beekeeping to grow in the U.S.
A young beekeeper holds up a honey frame, circa 1935. Managed beehives were not only limited to the East Coast colonies where they were initially established but were also taken across the country during beekeepers’ journeys westward. Of course, natural bee migration played its role as well; when colonies would swarm, they would establish new hives up to 3 miles away. This westward migration occurred relatively gradually, with no reported sightings of honey bees beyond Kansas in 1843. Ultimately, it was the carrying of beehives by way of sea and the Isthmus of Panama that resulted in the successful development of the beekeeping industry in the west. This spread and development of beekeeping now forms the backbone of the production of many crops. Today, for example, the Californian almond industry is directly dependent on our buzzing gals. 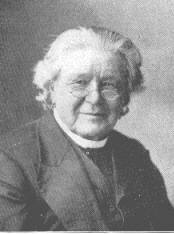 L. L. Langstroth, inventor of the Langstroth hive. No doubt, the spread of honey bees also came with the development of beekeeping technology within the U.S. An American apiarist named L.L. Langstroth created a method of beekeeping that is still used today. He invented a “bee box” that held multiple wooden rectangular frames. These frames were interchangeable, which allowed beekeepers to check on the condition of their bee colonies and monitor any parasites, viruses, or general issues within the colony. The design also allowed for the easy collection of honey by including natural space between the frames. Thus, honey could be collected without destroying the whole structure and disrupting the bees. We use Langstroth hives here at Planet Bee, and we think they are the bee's knees! In summary, since its introduction to the U.S., beekeeping has evolved to be less dangerous and more reliable. honey bees have provided immeasurable services, including honey production and pollination of important crops. Thanks to scientific knowledge about bee behavior and modern beekeeping technologies, humans have never been better suited interact with bees. If you'd like to see what all the buzz around beekeeping is about, be sure to read Beekeeping 101. Here’s to the sweet history of beekeeping! We know that bees were plentiful in ancient China, but there are very few mentions of them in record or folklore. The word "feng" was used to refer to both bees and wasps, but honey bees were distinguished as honey-fengs, or family-fengs (domesticated bees). Earth-fengs, or ground-bees, which carry off caterpillars to feed their young, were believed by the Chinese to train these caterpillars to become bees! Another amusing superstition held that in the K'un-lun mountains there was a bee ten feet long, with a sting that could kill an elephant! There were a few popular sayings relating to bees, such as "Bees make honey and men eat it," and "When the nest is destroyed, others get the honey". Chinese beekeepers used to practice a form of beekeeping in which the hive was destroyed when the honey is taken. For hives, they used a basket smeared with mud, which they placed on a piece of wood driven into the side of the house high off the ground. They also caught swarms inside their hats, which they covered on the inside with honey. During the seventh and eight centuries, honey was mixed with opium. There are a few superstitions relating to bees. In some regions, hives are turned around after the death of their owner. The passage below, taken from Shi-Chin's 1553 work "Chi-pei-yau-tan", shows, that the Chinese considered swarms good luck. "The inhabitants of certain mountains south of Yau-yue are all in a lifelong ignorance of the calendar, but in its stead they observe punctually every morning and evening the hives which the family keeps. Whatever day the bees happen to swarm, is deemed unfailingly lucky. Should some business chance be unfinished in the day, it is put off till another occasion of bees swarming. On such a day are also celebrated ordinarily the ceremonies of marriage and of beginning buildings. Thus, swarm in whose house the bees may, the servants and neighbors go round the place with the news; indeed the people never attempt to conceal the fact. Once upon a time a trading stranger came and sojourned in the locality for a year, and during that time he attentively recorded the days on which the bees swarmed, although numbering one hundred odd. Upon his return home he examined the calendar, and was astonished on finding those days without exception marked dies albi; whereas all other days on which the bees did not swarm were either marked unlucky or of no import. So wonderful is the mystic instinct of these animals which enables them to communicate freely with the creator." Here again we find a link between bees and heavenly powers, a belief that bees were the messengers of the gods. This belief was also prevalent in the West. Until next time, we wish you swarms aplenty! Ransome, Hilda M. "The Sacred Bee in Ancient Times and Folklore". London: George Allen & Unwin, 1937. Pp. 19-41. Seasons greetings from the Planet Bee hive! What an eventful fall it's been for us, and what better way to celebrate the end of the year then to recap all the excitement and fun that has taken place over the last few months. 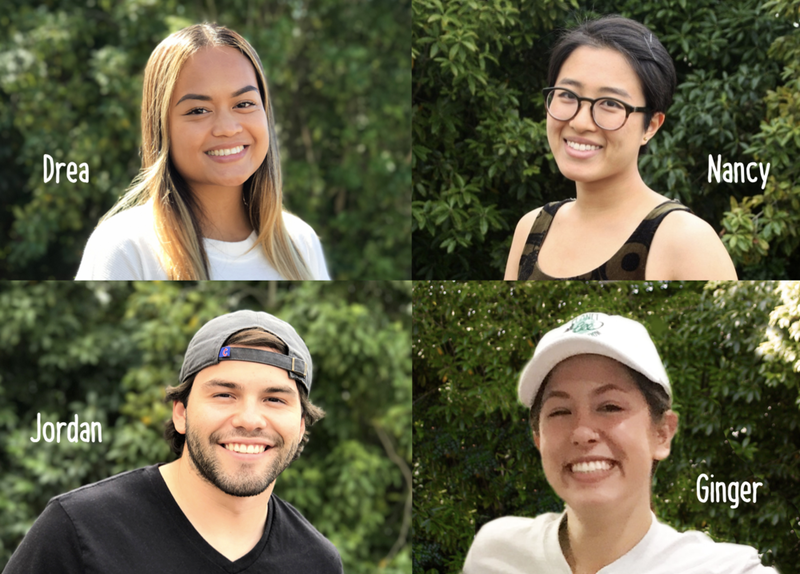 This fall, we were fortunate to bring on some wonderful new staff members, including our new educator and outreach coordinator, Zach (that’s me), as well as our four interns--Ginger from UC Berkeley, Jordan and Drea from San Francisco State University, and Nancy from College of Marin. I’ve personally loved learning about the basics of beekeeping by working first hand in the hive. Having recently moved from the Big Island of Hawaii, where I taught middle school science for two years as a Teach for America corps member, I’ve especially enjoyed traveling to different schools around the Bay Area and honing my teaching skills. Our amazing interns have been invaluable this fall by leading games and activities at tabling events and even helping catch a swarm that landed on a neighbor’s fence! We will miss this group, but look forward to welcoming the new spring interns-- Colleen, Samantha, Christopher, and Denver. Be on the lookout for more about them in the next blog. Inquisitive students at Visitacion Valley Middle School witness first hand what life in the hive is like in our observation hive. We’re proud to share that we reached a total of 4,500 students this year through our educational programs, the Humble Honey Bee, the ZomBee Watch Project, and Adopt-A-Hive, adding to our ever growing hive of environmental stewards, which is now 15,000! Our mission continues to be rooted in creating a green-minded generation by inspiring environmental stewardship and individual action through the teaching lens of the struggling honey bee. It’s always such a joy watching a child’s attitude towards honey bees change from fear to admiration after one of our site visits. Jordan, Sarah, Zach, and Nancy engaging with the community at Discovery Day at AT&T Park. This season was packed for us with educating the public at community events, including the Whole Kids Vendor Fair, YSI’s Annual Wildlife Festival, BaySplash, the City Slicker Farms Harvest Festival, North Bay Science Discovery Day, the Bioneers Family Fair, and Discovery Day at AT&T Park. We always have so much fun teaching people about how they can help support our pollinator friends as they interact with our dynamic table top activities and live bees. They even get to make a seed ball to plant to help bees! Some highlights for us were attending awe-inspiring talks by world-renowned change-makers, innovators, and visionaries at the National Bioneers Conference at Marin Center in San Rafael and being part of the Bay Area Discovery Day at the Sonoma County Fairgrounds and AT&T Park with an overall attendance of over 45,000 people! Clif Bar employees work together to assemble bee hives during one of our team-building workshops. Fall was the season of honey harvests for us at Planet Bee. During Google’s annual honey harvest, we had a blast tasting mead made by employees from previous year's harvest. We had some seriously sweet and sticky fun scraping honey off the frames by hand at SAP. And we enjoyed taking a group of middle schoolers directly into the hives to pull out the honey frames at Keller Estate Winery. During our lunchtime talk at Earthjustice headquarters, employees shared their favorite facts about honey bees. We also held a beehive building workshop with the Food and Innovation Team at the Clif Bar Headquarters, where employees got busy assembling bee hives, bonding over honey, cheese, and mead tastings, and learning a thing or two about life in the hive from myself and Sarah. By the end of the day, we made a total of 10 beehives, which will be sold at our annual bee sale to support our educational programs! We were also honored to present an informative lunchtime talk to Earthjustice employees at their headquarters in San Francisco. Of course, we were preaching to the choir as this group is devoted to fighting for environmental justice and advancing the promise of a healthy world for all. Students examine live bees up close during our Humble Honey Bee Project lesson. A whopping 2,500 seed balls were created by children and adults this fall, which equates to 25,000 California Poppies being added to the Bay Area region. That’s a lot of food for the bees! We wish to thank all of our community, corporate, nonprofit, and school partners for joining in our mission to foster stewardship for the earth. We couldn’t do it without you. Join us as we change the world-- one bee and one student at a time! Help us create the next generation of environmental stewards. Every $10 donation provides a student with a unique up-close experience with bees and the tools to help them! PS - Be on the lookout next week for Planet Bee's New Year's Resolutions! India's oldest sacred book, the Rig-Veda, contains many mentions to bees and honey. This book was probably compiled between 2000 and 3000 BCE, and was written in Sanskrit. The Sanskrit word for honey is madhu, which is etymologically identical to the Greek methu and the Anglo-Saxon medu, or mead. The Hindu gods were often associated with bees. The gods Vishnu, Krishnu, and Indra were called Madhava, the nectar-born ones, and their symbol is the bee. Vishnu is represented as a blue bee upon a lotus flower, the symbol of life, resurrection, and nature. The bee is blue because blue is the color of the sky from which the gods come. Where Vishnu steps, a spring of mead appears. Krishna, an incarnation of Vishnu, is often depicted with a blue bee on his forehead. Another god, Siva, the Destroyer, has another form, called Madheri, or the suave one. In this form his symbol is an inverted triangle with a bee resting upon it. There is even a Hindu Bee Goddess, named Bhrami, a word which means 'bees' in Hindi. It was said that Bramari resided in the heart chakra and emitted the buzzing sound of bees. This buzzing, humming noise was often imitated in Vedic chants, and represented the essential sound of the universe all across India. Then there is Kama, the god of love, who carries a bow with a string made of bees. And that is not the only bee-related weapon: the twin horsemen, the Asvins, lords of light, have a whip dripping with honey known as Madhukasa. These horsemen ride in a chariot known as Madhuvahana, or "honey-bearing". By sprinkling honey from their whip, the Asvins were said to prolong the peoples' lives. There is even a hymn written specifically about the honey whip in the Atharva-Veda! "When the honey-lash comes bestowing gifts, there life's breath, and there immortality has settled down. As the bees carry honey upon honey, thus in my person, O Asvins, luster shall be sustained. O Asvins, lords of Brightness, anoint me with the honey of the bee, that I may speak forceful speech among men." This last verse refers to the belief, common in many countries besides India, that eating honey would make one's speech more eloquent and one's songs more sweet. In European myths, bees were referred to as the "Birds of the Muses" for this reason. One hymn mentions a poet named Kahsivat who was aided in his singing by honey which had dropped from the Asvins' honey vat. As in Ancient Egypt, rulers in India exacted honey as taxes from their people: one sixth of all honey produced. Honey was so highly valued that if someone stole it, they were cursed to return in their next life as a gadfly! Novice priests were ordered to abstain from honey, as well as from meat, perfume, and women. This must have been a real test of self control for the young priests, as every month a feast to the gods was celebrated in which these priests had to go around offering guests honey. If a novice broke down and ate honey, he had to fast for three days and spend one day standing in water! "Honey the winds pour forth for the righteous, honey the rivers; full of honey may the plants be for us! Honey by night and morn, rich in honey may the region of earth be for us, honey the father Heaven!" In another passage, priests are compared to bees and the sacrifice they offer to the gods is compared to honey. "'It is bees' honey,' they say: for bees' honey means the sacrifice, and the bees that make the honey are no other than the officiating prests; and it is inlike manner as the working bees make the honey increase, so do they [the priests] thereby strengthen the sacrifice." Honey was also used in magical charms of protection, such as charms against the poison of snakes, scorpions, and other insects. Swarms of bees had a number of symbolic meanings. If a swarm of bees flew into a house, this meant bad luck, which could only be avoided by burning pieces of the Udumbaba-tree. If you dreamed that bees flew into your house, you were soon to die or suffer some terrible misfortune. We wish you the best of fortune, and hope that you have enjoyed learning about bees and honey in Ancient India! Next up, we’ll be learning about the significance of bees in Ancient China. Stay tuned! It cannot be disputed that the Ancient Egyptians attached great religious and spiritual significance to the honey bee. Bees were associated with royalty in Egypt; indeed, as early as 3500 BC, the bee was the symbol of the King of Lower Egypt! (The symbol of the King of Upper Egypt was a reed). There are many examples of bee hieroglyphs to be found in the records, as well as hieroglyphs for honey and beekeeper. Beekeeping has been practiced for thousands of years in Egypt. For at least four thousand five hundred years, the Egyptians have been making hives in the same way, out of pipes of clay or Nile mud, often stacked one on top of another. These hives were moved up and down the Nile depending on the time of year, allowing the bees to pollinate any and all flowers which were in season. Special rafts were built for moving these hives, which were stacked in pyramids. At each new location, the hives were carried to the nearby flowers and released. When the flowers died, the bees were taken a few miles further down the Nile and released again. Thus the bees traveled the whole length of Egypt. This tradition continues into the present day. Honey was used by all classes in Ancient Egypt, indicating that it must have been produced on a large scale. It was used for everything from sweetening food, to preventing infection by being placed on wounds, to paying taxes. One marriage contract has been found which states, "I take thee to wife... and promise to deliver to thee yearly twelve jars of honey." Honey was exacted as tribute from conquered countries; for instance, many jars of honey were paid each year by the Retenu tribe of Syria to their Egyptian conqueror, Thothmes II. Honey and wax were used for religious as well as practical purposes. Sacred animals were fed cakes sweetened with honey. These animals included the sacred bull at Memphis, the sacred lion at Leontopolis, and the sacred crocodile at Crocodilopolis. Mummies were sometimes embalmed in honey, and often sarcophagi were sealed up with beeswax. Jars of honey were left in tombs as offerings the dead, to give them something to eat in the afterlife. One of our favorite stories to tell kids is that when King Tut's tomb was open, a 2,000-year-old jar of honey was found. And because honey never spoils, it was still perfectly edible! It was widely believed in Ancient Egypt that if a witch or a wizard made a beeswax figure of a man and injured or destroyed it, the man himself would suffer or die. In a ceremonial offering known as the "Opening of the Mouth", priests used special instruments to place honey into the mouth of a statue of a god, or the statue or mummy of a king or other great noble. Certain lines in ancient rituals indicate that the Egyptians may have even believed that the soul of a man (his "ka", or double; the part which continues after death) took the form of a bee. Another ritual from the Book of "Am-Tuat", or "the Otherworld", compares the voices of souls to the hum of bees. "This god crieth out to their souls after he hath entered the city of the gods who are on their sand, and there are heard the voices of those who are shut in this circle which are like [the hum] of many bees of honey when their souls cry out to Ra." It was written in another ritual, contained in the "Salt Magical Papyrus", that bees were created from the tears of the sun-god Ra himself, whom the Egyptians believed to be the creator of the earth and the sea. Ra's right eye was the sun, his left eye was the moon, and he caused the Nile to flood. "When Ra weeps again the water which flows from his eyes upon the ground turns into working bees. They work in flowers and trees of every kind and wax and honey come into being." We at Planet Bee hope that you find all this as fascinating and awe-inspiring as we do! Next up, we'll be talking about bees in Ancient India. Stay tuned! Have you ever wondered how beekeeping first began? When the earliest humans, living in caves, discovered that the buzzing hive of bees could provide them with delicious honey and useful wax? There is evidence that mankind was gathering honey in the late Paleolithic times, ten to fifteen thousand years ago. An 8,000-year-old rock painting discovered at Arana Cave near Valencia, Spain, depicts a person climbing a ladder to gather honey from a hive on a cliff face. This picture was made when humans were still in the hunting and gathering stage, before they had begun to farm or domesticate animals. The figure is naked, with no protection from the stings of bees, meaning that it must have taken great courage and endurance to gather this honey. Perhaps even then it was being used for magical or religious purposes. It is possible that this image was created as a talisman for a successful mission; that if the honey gathering was depicted on stone, it would aid and protect the honey gatherer. After this painting there is a gap in our knowledge of honey gathering lasting thousands of years. Next month, read all about the many uses and meanings of bees and honey in Ancient Egypt!